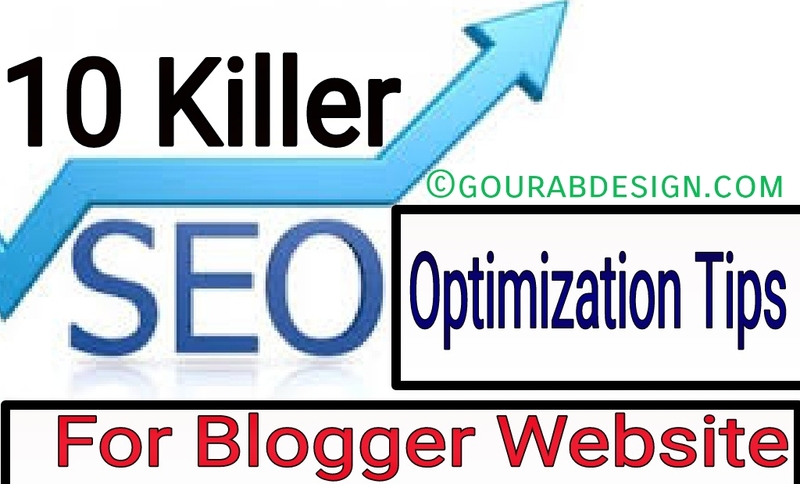 Seo Optimization Tips For Blogger - Optimization SEO (Search Engine Optimation) , of course we all as a webmasters or web / blog managers have become food that must be consumed every day. Because with this SEO we can get a lot of profits according to the purpose of the web / blog that was created. SEO plays an important role for a blog to be able to get a lot of visitors, yes even though visitors come not only from search engines, depending on the type of web itself, for example like a giant site Facebook or Twitter certainly does not really need SEO optimization, but their rank is high, it because visitors use directly through the application. Sites that don't need SEO optimization such as social media, forums, web news, blogs containing comics, short stories or personal stories. It only needs a promotion other than SEO. In order to be more friendly to search engines like Google, Bing / Yahoo, Ask, we need to do a little touch to be able to compete with others, so we can't just leave it like writing novels or writing short stories. Because they use bots that are used as a tool for crawling every page of an article and how it is arranged. Well below I will give a little subject to you about SEO optimization in terms of what must be done by webmasters. So for those of you who are practically beginners about this, you can listen to it and also practice it, who knows it will benefit you. This is just a basic guide, for those of you who are experts on SEO optimization, this is certainly your daily food. To find out the ten things, please refer to the discussion. Keyword research is very important, yeah ... minimal, which is a high monthly search but low competition. By resetting keywords we can have the right target audience so that it will benefit us ourselves. Just try if you don't use keyword research, aka random writing, surely there are no visitors looking for our blog. I used to have a blog with more than 1000 articles but the visitors were only 1000-2000 because I never reset the keyword. But now to build a blog with keyword targeting, only 300 articles have more than 10 visitors, namely between 25,000-30,000 visitors per day. Far enough difference is not it? We can research keywords using various tools. But the tools from AdWords Keyword Planner are more stable, because we can know the price of the cost per click or estimate according to the HPK High Paying Keyword, which is a keyword that has a higher price than other keywords. But in determining this keyword you also have to pay attention to the niche blog that you are building, so it is not arbitrary to search for keywords. In addition, if you do not want to make your blog monetized with Google Adsense, looking for expensive keywords is also of no use. For example, you use standalone advertising as a tool to make money from blogs, so you don't need to reset the KW (keyword) price. Simply search for keywords that have many popular searches. With good keyword reset, search engines like Google will be more friendly to your blog. So there is a better reputation.. In creating a blog there is indeed a niche blog or specifically discussing one type of theme, there is also a discussion of many themes or called multi niche. But blogs that rely solely on one theme will certainly be easier to monetize, because the visitors are more targeted. For example, discussing the Moto GP, then if the ad displayed is related to the GP moto, there will be a lot of profit conversions. In contrast to hodgepodge blogs that rarely have regular visitors, only have visitors from search engines or from social media. So if you advertise yourself, it rarely happens that profits are selling a product, because visitors do not like it. If our blog only has one topic, the search engine also excels because it gets its own priority from niche blogs. For example, a blog that discusses a review of HP or about how to treat definitely if you are looking for it on Google that's just the blog that appears. Now that is a priority that is prioritized by Google to blogs that have niche blogs and good reputation. This has to do with number 1 above, which after we find the keywords that we feel are right, then we use them in various places in our article as in the title, in the content of the article, and so on. For example, you want to blog about sewing. You can use a domain like tutorialjahit.com or aroundjahit.net. The important thing is there is the keyword "sewing" that you enter in your domain name. Give main keywords by targeting long tail keywords. For example, I target the keyword "how to repair a tractor engine" ... You can use long tail keywords such as "how to fix a 2-wheel tractor engine easily". This can attract even more visitors. Use the main keywords on your link. For example, if you target the keywords for Japanese potato cultivation, then use Japanese or it can be like this, example / agriculture / cultivation - about-japan.html which basically means you have to put it on the permalink, but don't stand for it .. In the article, of course, you will find several examples or some things, now you can use heading h3 or h2 to write it down. But one of them must be inserted in a keyword. If you want to make images easier to find by google images, then you can use the alt tag in the image and don't forget to enter the keyword there. Google likes blogs that have articles that are always updated. So that the blog seems fresh to enjoy every time because there are always things that can be crawled. With weighty content also makes visitors like To go back and always check our blog regularly whether there is content that is updated again or not. Weighted content is usually more than 400 words, because it is preferred by search engines, besides that it will also not be easily touched on search engines. But the point is to make it easy to understand and easy to read. Don't make it long but just back and forth. You can use related posts or you can add related links manually so that it's easier to click on other people. In one article you can use between 1-2 related links in 400 words. So if you use 1,000 words you can use 3-4 related articles in your post. This is the purpose to complement each other between articles, so that users who do not understand this issue can immediately run into related articles, this can also be used to reduce the blog bounce rate or bounce rate of your blog. Usually a blog that has a Niche or an alias is not a Gado Gado blog, this will make the blog bounce rate smaller. But if the gado gado blog is usually up to 50% ++. In terms of SEO, this bounce ratio is also calculated as a tool to measure visitor satisfaction with every piece of art that we make. So the smaller the bounce rate is, then it indicates that visitors are more at home in our blog. Maybe you are confused between wordpress, joomla, or blogspot. Now we see it in the field, in terms of SEO blogs with wordpress and blogspot have more that is displayed on the top page. But if you use other platforms or can also use local platforms such as blog seconds, it's actually been optimized as well as possible to support the SEO of our blog. The point is that if all the web blog platforms have provided it with a solid performance, we can use it ourselves or not. But if you are a beginner or someone who needs simplicity, you can also use the free Google platform, blogspot blogger. You can use it lightly, it's easy, simple, without being ribed. Even from cellphones you can blog easily, moreover every Android cellphone is now integrated with a Gmail account. So just use the application and write whatever you want at any time. But in further SEO matters, the wordpress has various plugins that support us to be able to have articles that are friendly. This means we can write but it is justified by the plugin. This platform is actually free but needs to be hosted on its own, so it's more impressed professional than the platform of blogger. In terms of SEO, registering a blog to Google webmaster tools, and Bing webmasters tools is an obligation. Because we can put the sitemap there, can know the development of our blog and so on. So make sure if a new blog is created, immediately register your blog on webmasters immediately. Besides that, using plugins on WordPress is also important ... WordPress can be installed in various plugins. But of course the more installed it will be more burdensome hosting. So just use it. But most importantly you have to enter a plugin that supports SEO issues that have been proven. Yoast WP SEO.All In One SEO Pack.Google XML Sitemaps.SEO Friendly Images.And others. This can help you to make articles that are SEO friendly and will also correct if the articles you create are not yet in the SEO friendly category. Don't forget about social media effects, yeah ... You can use the powerful effects that are caused by social media such as Facebook, Twitter, or in various discussion forums. This will help introduce your blog to many people. But don't get spamming anywhere ... let alone use tools that can send automatically to all FB groups. This can decrease your blog's reputation regarding SEO. So if on Facebook you can create a page and then use it to interact with your blog enthusiasts. Indeed, currently we do not know for sure whether social media is directly used by Google to influence the ranking of our blog or not. But the point is this is very important to help increase your blog visitors. Looking for backlinks has actually been done for a long time by webmasters to get maximum results in search engines, especially in Google Page. However, actually looking for backlinks is not good for us. Because backlinks are what the search engines want. So now in SEO optimization, prioritizing quality backlinks is the reference in the preparation of Google algorithms. While backlinks obtained from the results of spamming will make the reputation down. So it is very important for you to ascertain where the source of the backlink comes from. And if it's from indecent content, you can use Disavow Link to help get rid of these dirty backlinks in webmasters. You can use Offpage SEO like paid ads, or advertisements on TV. I see that advertising on TV has a very important impact on SEO optimization. This is because the visitors who become very many will make the blog a good reputation in the eyes of search engines. Or you can do promotion from mouth to mouth. Indirectly this can make your blog famous and many visitors and can compete SEO. So whatever makes your blog famous just use it, as long as you don't use the black hat method. If you want to be easy, you can use a community either offline or online. So if there are community members who need information, you can just create the article and give an explanation to them. As long as it's not a discussion forum about blogs and the like I'm sure you can spread your blog link there. As long as it's not spam. 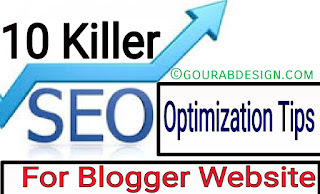 Yes, that's a little general description of the concepts commonly used by blogger webmasters for SEO optimization to support the web in order to compete with other products in search engines. Hopefully the discussion about SEO Optimization Tips for Bloggers is useful for all of us.